TwistedBrush Pro Studio est un logiciel de dessin et un éditeur photo numérique avec des outils artistiques naturels. 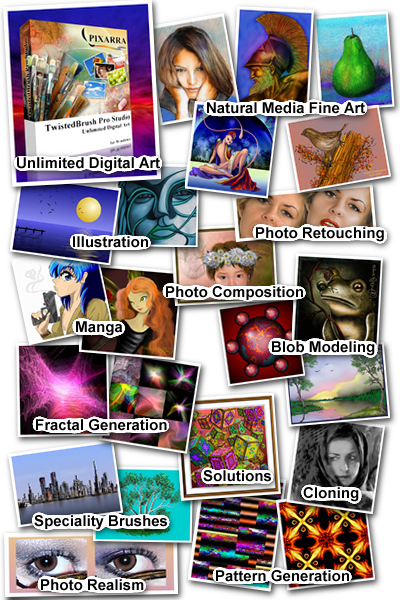 L'offre gratuite du jour pour TwistedBrush Pro Studio 17 était valable le 12 janvier 2013! Un logiciel de dessin et éditeur photo numérique avec des outils artistiques naturels. TwistedBrush Pro Studio possède l'un des moteurs les plus complets et les plus performants, mais à pourtant été conçu pour être facile d'utilisation. TwistedBrush possède plus de 5.000 pinceaux ainsi de l'ensemble des fonctions que les artistes aiment à utiliser : calques, média réaliste, clonage de photo, traçage, masques, particules, filtres, enregistrement de script, scripts pour AVI, support de tablette de dessin, formes des pinceaux, modèles, textures, prise en charge du scanner intégrées, pinceaux pour image, guides de dessin, aperçu des images références, pinceaux sales, fonction d'égratignure de la couche, palettes dynamiques et bien d'autres encore. unbelievable program. I have top of the line Adobe and Corel software and this thing blew me away! VERY easy interface if you have any experience with this type of software at all, right out the box. 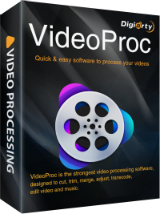 AND they are giving us the TOP of the line of their software,(there is a free version and a pro, we get the pro), plus upgrades and help past today. I am nearly speechless with all the things this program does. It is like PaintShopPro and Photoshop and PaintDotNet and Gimp all rolled into one with a simple straightforeward approach and is very well organized. KEEPER DUDES, grab it now if you do any type of art or photomanip at all. THANK YOU THANK YOU! *Supports the following image types: JPEG, GIF, PNG, TIFF, TGA, PCX, PSD, BMP, PCD, WMF and EMF. Hmm given away oct 2012! Got a high rating of 75% positive! There is a manual for download, 294 pages, some 50 MB. Scroll down a bit, and find the link in the left column. Seems we are getting lots of art software lately - which is good! Version 17.28 is what was offered here previously (note all the suggestions from last time). It's a hugely impressive and fun program and well worth the download. However, be aware that the current retail version is 19.17 so don't waste too much time with redundant suggestions/comments on what's offered today. Just enjoy it. Version 17.28 is what was offered here previously (note all the suggestions from last time). It's a hugely impressive and fun program and well worth the download. However, be aware that the current retail version is 19.17 so don't waste too much time with redundant suggestions/comments on what's offered today. Just enjoy it. I used a free version of this program before and was quite impressed with it. It can do some great things with excellent realism. I can only imagine the free paid pro version is even better. How there could possibly be any thumbs down for this giveaway is beyond me. It's FREE people!! And an excellent program. If you won't use it, don't get it, but don't make a great program look questionable by giving it thumbs down... Anyways, I'm glad I got it, it's a great giveaway!! Thank you! !